Every Wednesday morning for the past five years, a group of five ladies from Rathdrum Bible Church has met up to take on the various bike trails throughout the region. 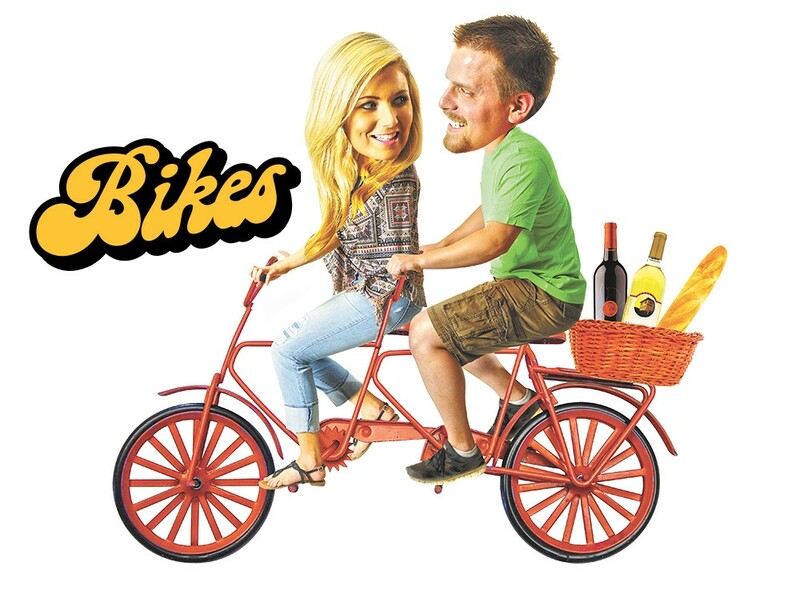 They've also traveled to Victoria, the San Juan Islands and Portland for cycling trips. On a bright, gusty day in early June, the women meet where the Centennial Trail runs through Mirabeau Park, clad in black bike shorts and the same pink T-shirts with a Bible verse on the back. Their plan is to ride about 40 miles into Spokane and up to Nine Mile Falls and back. Their goal for 2015 is to ride 2,015 miles — farther than they've ever ridden in one year. They've already logged between 800 and 1,000. As we start to roll out of the parking lot, one of them turns to me: "Try to keep up," she says with a wink. Before the end of the first mile, Marilynn Stults and Rena Brunko are ready to drop us. Stults, 75, is on a regular exercise regimen of spinning classes, aerobics and pilates. Brunko, 63, ran her sixth marathon when she turned 60 and doesn't appear to be slowing down anytime soon. Jackie Malinauskas follows close behind them. Joan Struck and Avis Smith fall back to keep me company as I huff along. Eventually Stults and Brunko pull off and wait for us. • Keep your tires pumped, and always carry an extra tube and tools. • Make sure your bike fits. The wrong size bike will make riding very uncomfortable. • Take plenty of water, especially when it's hot. • Eat well: carbs and salt. Sometimes they'll split a big basket of French fries halfway through their rides. • Tell someone where you're going. After lunch, the ladies saddle back up and continue on into Nine Mile Falls, determined to add onto their yearly mile count. And you can bet they'll be back at it next week. This Bike Life hosts a no-drop group ride every Wednesday, usually about 20 to 30 miles. Bike Butler usually has food and beer after their Hump Day evening rides. Nomadz Racing has put together a mountain bike racing series in Riverside State Park Wednesdays at 6:30 pm. There are two days left: June 17 and 24 ($20/race). If you prefer to kick off the weekend with a spin and some drinks, try the Fourth Friday Pub Peddlers. This group meets on the fourth Friday evening of each month at the Swamp Tavern. Rides usually start at 7, but check their Facebook page for specifics. Get comfortable riding on streets with the Spokane Bicycle Club. A Spokane tradition since 2013, the Swamp Ride meets every full moon for an evening of cycling fellowship and adult beverages. Keep an eye on their Facebook page for the next ride. The destination and activities along the way are usually kept secret until about a week before. Show up to the Swamp Tavern with your bike, and be ready to get weird. The Spokane Midnight Century is not for the faint of heart. The unapologetic 100-mile ride leaves Aug. 1 at 11:59 pm from the Elk. The course transverses rural dirt roads in the pitch dark, so make sure you bring a headlamp and taillight. After his first time, Hank Greer says some parts of the ride are so craterous it feels like you're trying to hold a paint-shaking machine still. "After about 25 miles, you get out into the rural areas and it's very dark," Greer says. "One year a guy ran over a porcupine because he couldn't see it. He was wearing Crocs, and a bunch of quills got stuck in them." This leg-buster of a ride starts in the fairly flat Chief Timothy State Park in Clarkston and continues up the Old Spiral Highway for a grueling climb of more than 2,000 feet. It covers a total of 18 miles, and riders are rewarded with a gorgeous view at the top of the Lewiston Hill. Plus you get a T-shirt. Ride starts June 13 at 8 am. Costs $25 to $40/person. The Jedermann Gran Fondo Bike Ride is for everyone. It says so in the name. Recreational rides in Germany are frequently named "Jedermann Rennen," translating to "everyone's race." Similar rides in Italy are called Gran Fondos or "Great Rides." Ergo: "Everyone's great ride." The ride starts in Cheney on July 25, at 7 am, and offers 30-, 66- and 100-mile routes. Eat some pancakes beforehand and enjoy live music, beer and barbecue after. $25 to $100/person. The third annual Spokane Valley Cycle Celebration is another great ride for the entire family. Starting at Mirabeau Meadows Park on July 26, at 8 am, you can choose from 10-, 25-, or 50-mile routes. Mechanical support is provided by the pros at Bike Hub and first-aid teams will be on hand throughout. Three comfort stations along the way offer porta-potties, food and water. $20/person or $8/child. The 17th annual 8 Lakes Leg Aches Bike Ride on Aug. 1 starts at the Group Health Corporate Office in Spokane and features 15-, 30-, 45-, and 75-mile routes. To see all eight lakes (and get the full ache) you have to rid the full 75 past Willow, Granite, Silver, Medical, Clear, Chapman, Keppie and Fish lakes. $45 for the ride, $60 if you want a shirt. This 13-mile ride celebrates the longest day of the year as it winds along and above the Coeur d'Alene River. The ride starts and ends at the Mission Inn in Cataldo, Idaho, June 21, at 6 pm. There's free barbecue afterward. $35/person. Spokane's streets can be a scary place for the inexperienced cyclist. The Spokane Bicycle Club wants to fix that mentality. The Sunday afternoon Street Ride is great for beginners who want to learn proper street riding skills but don't want to risk getting run off the road by a car in the process. Come and benefit from the street-cycling know-how of certified instructors from the League of American Bicyclists and members of the Spokane Bicycle Club on Aug. 2 at 1:30 pm. The ride starts at Two Wheel Transit and travels throughout the Perry neighborhood. Garry Kehr, president of the Spokane Bicycle Club, says the best mentality a road cyclist can have is confidence. If you act like a vehicle that belongs on the road, cars will treat you like one. Road Rides: Tim Hines from Wheel Sport suggests the Valley Chapel/Mount Hope loop. "I start at the fire station near 57th and the Palouse Highway in south Spokane. This is one of my favorites because it includes amazing views of the farmland around the Palouse, has quiet country roads with very little traffic and a nice combination of twisty roads, rolling hills and forested areas along Spangle Creek," Hines says. Patti Nepean at Monkeyboy Bicycles likes the Fish Lake Trail. It's fashioned from an old Union Pacific rail line and runs from Government Way and Sunset Boulevard in Spokane down to Fish Lake near Cheney. 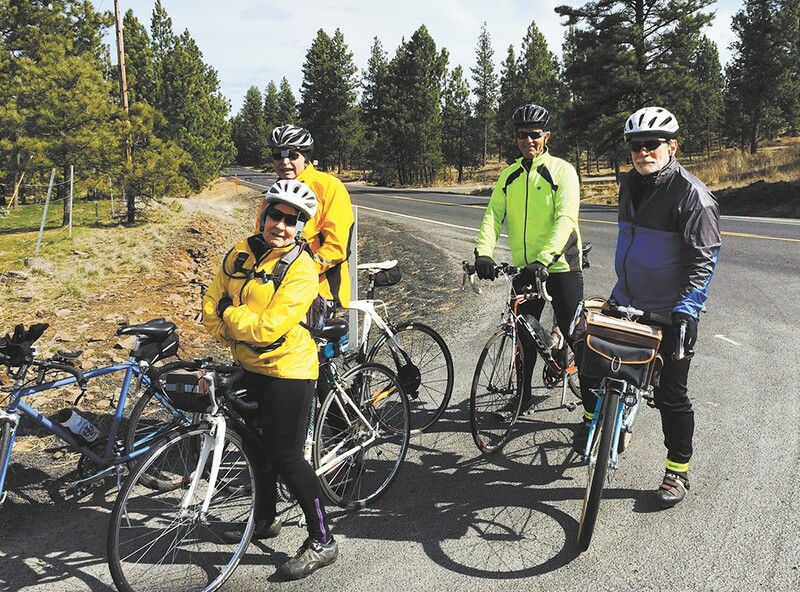 The Rathdrum Bible Church cycling ladies recommend the Trail of the Coeur d'Alenes. The paved trail follows the old Union Pacific Railroad tracks for 71 miles from Mullan, Idaho, to Plummer and passes through the Silver Valley and along the shores of Lake Coeur d'Alene. On hot days, the ladies jump into the lake to cool off halfway through the ride. Mountain bike trails: Chad Ohman from Wheel Sport suggests Gold Hill in Sandpoint, Idaho: "From Highway 95 south of Sandpoint, go east on Bottle Bay Road 4.8 miles. The trailhead is on the right," Ohman says. "Hidden away on a densely forested, northwest-facing slope near Bottle Bay on Lake Pend Oreille is a stretch of single track that is simply amazing. There are several viewpoints along the way, and the serpentine path seems to have hundreds of switchbacks to negotiate. This 11.5-mile round trip is a challenge for any rider." Ian Hume from Bicycle Butler says Beacon Hill — a 25-mile network of mostly single-track trails on the eastern edge of Spokane — is where he does most of his mountain bike riding.